You know it’s that time of year in metro Denver when you see cars whizzing past you on the highway with “grassroots” looking advertising painted on the back windshield supporting school tax increases or school board members who will dutifully advocate for the same. Now, the teachers union in Douglas County has gotten more creative: they are casting elementary school children in “educational” videos about the desperate need for more tax dollars, because administration cannot effectively manage to the budget that they have been authorized. In fact, the home page for Douglas County Schools is currently overrun with so-called “future funding” talking points and links to “resources,” such as videos, fact sheets, Q&A, infographics, and even a page to register to vote. What kind of taxpayer resources (staff time, funds, etc.) did it take to produce these things? The school district even produced six videos that used children as props to peddle their tax and spend agenda. Students, who we assume received parent permission, interviewed principals at various schools in the district. Odd that the county chose to only focus on administrators, when they cannot say enough that this money will be used to increase teacher pay. 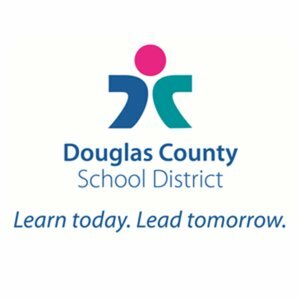 DCSD claims that the tax increase will only impact the average Douglas County family by little more than $200 per year. But that is probably based on a house that costs less than the median. There are several other tax increases on the ballot next month, including a $1.6 billion tax increase for schools and a 0.62% sales tax increase for transportation spending. If those pass, how much more of Coloradans’ income goes out the door to taxes? $500, $1000, more? And how much is that as a percentage of what Coloradans are able to spend over the course of the year? What happened to all of that Marijuana tax revenue that was supposed to be pouring into schools? Does the current school calendar work for your family, with numerous days off scattered throughout the calendar for vacation time, far in excess of what private sector producers are allotted? How much are Coloradans paying already for child care to accommodate the teachers’ union schedule? How did Colorado families manage their kids when teachers decided to cut school en masse and cause districts to be shut down across Colorado? What would happen to you if you called in sick, but really went to the State Capitol to protest? As Walker Stapleton revealed just this week, there is a massive disconnect in the amount of new students coming into Colorado public schools and the number of new administrator positions brought on. From 2011 – 2017 the student population increased by 6.3%, while the number of administrators exploded by 34.6%. Perhaps teachers looking for raises should be looking at the bloat in the administration building before hustling first graders to pitch for their tax increase. It is time for working families to say no to smaller paychecks and do what is right for their families.